The purpose of this article is to provide some tips for how to interpret the Saturn return, in order to find out what it means in your life by looking at it within the context of your birth chart. Perhaps you’ve recently learned about the phenomenon known as the “Saturn return,” but don’t know what it will mean specifically for you. By following the tips below, you will develop a more detailed understanding of your own Saturn return, and the types of themes that you might expect to see emerge during the course of that period in your life. First, you need to know where Saturn was when you were born, since by definition the “Saturn return” is the period of time when Saturn returns to the same location in the sky that it was in at the moment of your birth. For the purpose of this article you need to know both the sign of the zodiac and the exact degree that Saturn was in when you were born. Once you have figured out the location of Saturn when you were born, the next step is to determine when your Saturn return will take place. For the details on how to do this, please see my other article titled How to Calculate Your Saturn Return. The Saturn return begins as soon as Saturn moves back into the same sign that it was in when you were born, and it ends when Saturn leaves that sign. Now, technically the exact Saturn return occurs when Saturn returns to the same degree of the zodiac that it was in at your birth; however, this does not mark the start or end point of the entire Saturn return period. Rather, it is the entrance of transiting Saturn into a person’s natal Saturn sign that marks the beginning of the Saturn return, and it is the departure of transiting Saturn from that same sign which marks the end of the return. 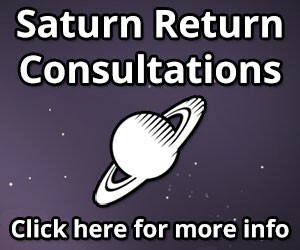 While it is accurate to say that the period immediately surrounding Saturn’s return to the exact degree it held in your birth chart is a particularly pivotal and sometimes climactic time during the course of the overall Saturn return, it is important to understand that the return itself actually begins once Saturn returns back to its natal sign. This is nice because it gives you some pretty clear guideposts to work with. All you have to do in order to figure out when your Saturn return begins is to find out when transiting Saturn will first return to your natal Saturn sign, and all you have to do in order to find out when it is over is to see when Saturn will leave that same sign. Since Saturn can sometimes move back and forth across sign boundaries for several months due to retrogrades, the main thing that you need to take into account is the first time that Saturn goes back into the natal sign and then the last time that it leaves that sign for the next couple of decades. This gives you your start and end dates. So, for example, if you were born with Saturn in Libra then your Saturn return began around October 29, 2009, when Saturn made its first ingress back into Libra since the early 1980s. Saturn-in-Libra folks will end their Saturn returns around October 5, 2012, which is when Saturn will move out of Libra and into Scorpio, not to return to Libra again for another couple of decades. On the other hand, if you were born with Saturn in Scorpio, then your Saturn return will begin on October 5, 2012, when Saturn ingresses into Scorpio for the first time since the mid-1980s, and then eventually your Saturn return will end when Saturn leaves Scorpio for the last time on September 18, 2015. While some of these dates might be expanded a bit if you were born with Saturn very early or late in a sign, the important period to focus on is when Saturn will return to the same sign as when you were born. Once you have this figured out, then you know when your Saturn return will take place, and can proceed with trying to identify what will happen in your life during that time frame. Now that you know when your Saturn return will occur, the next step is to figure out what will happen during that period of your life. Broadly speaking, the concept of sect is used in order to make a distinction between people who were born during the day and people who were born at night. 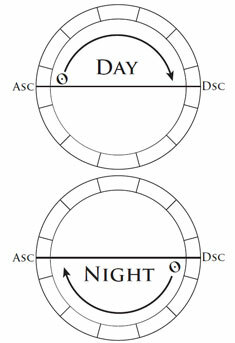 The premise is that some of the planets function differently depending on whether a person has a day chart or a night chart. This becomes especially important when it comes to Saturn’s position in the natal chart. People who were born during the day tend to experience their Saturn returns as being a more constructive time during their lives, while people who were born at night tend to experience their Saturn returns as being more difficult. This is a pretty straightforward rule once you figure out if you were born during the day or at night. In order to determine this, you just have to see whether the Sun is above or below the ascendant/descendant axis in the chart, which basically represents the horizon. If the Sun is above the ascendant/descendant axis, in the top half of the chart, then the person was born during the day. 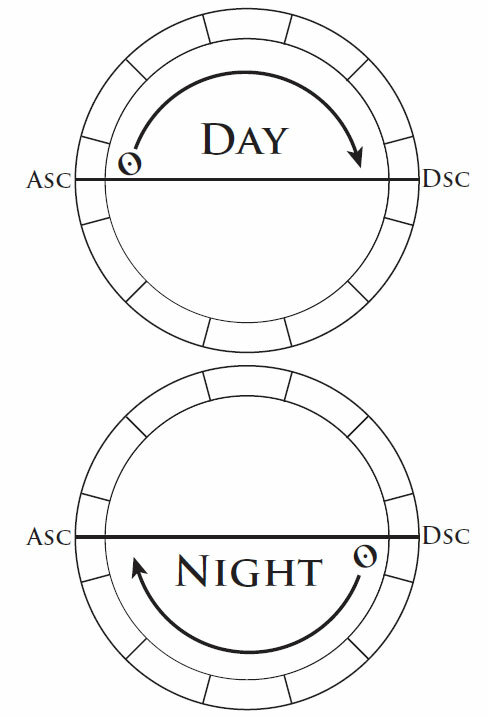 On the other hand, if the Sun is below the ascendant/descendant axis in the chart, then the person was born at night. There are definitely other factors that can offset the sect status of Saturn, which primarily have to do with its position by sign, house and aspect with the other planets, but for the most part all you need to know is that some of the more positive significations associated with Saturn tend to be more prominent for people with day charts, while some of the more negative significations associated with Saturn tend to be more prominent for people who have night charts. For better or worse, these significations will become much more prominent in the life of the native during the Saturn return. Once you have determined when the Saturn return will take place and whether it will tend to be experienced as more constructive or challenging, the next step is to figure out which topics will be the focus of your Saturn return. For this we look to the house where Saturn is located in your natal chart. For the purpose of determining what house is activated during the Saturn return, I would recommend using whole sign houses. With whole sign houses you just have to determine what sign the ascendant is in, and then that sign becomes the first house. The next sign in zodiacal order becomes the second house. The sign after that becomes the third house, and so on. When you are using whole sign houses within the context of the Saturn return, what this means is that not only is Saturn returning back to its natal sign, but it is also returning back to its natal house for the entire duration of your Saturn return. Naturally this means that the topics or areas of life associated with that specific house are going to become highlighted during the Saturn return. The topics associated with the house that Saturn is in natally will become more prominent in the person’s life during the Saturn return. So, for example, if your natal Saturn is in the 7th house of relationships, then there is a pretty good chance that a large part of your Saturn return will have to do with relationships. If your Saturn return is in the 10th house of career then there is a pretty good chance that the focal point of your Saturn return will be your career. While this list of significations for each of the houses certainly isn’t exhaustive, it gives you some idea of the main topics associated with each of the houses. At least one of the main themes associated with the house where your natal Saturn is located in your birth chart will become prominent during your Saturn return. In addition to the house where Saturn is located in the natal chart, you also should pay attention to the houses that Saturn rules in the chart, as the topics associated with these houses also often come into prominence during the course of the Saturn return. For our purposes here we will be using the traditional rulership scheme, in which Saturn rules both Capricorn and Aquarius. I would also still recommend that you use whole sign houses, which were explained earlier. In order to apply this rule in your own chart, what you should do is identify which houses are aligned with or overlap the signs Capricorn and Aquarius in the chart. So, for example, if the sign Capricorn is aligned with the 5th house in the chart, we would say that Saturn is the ruler of the 5th house. Or if Aquarius was aligned with the 2nd house in a particular chart, we would say that Saturn is the ruler of the 2nd house. When Saturn returns back to its natal position it will not only activate some of the topics related to the house that it is located in natally, but also topics associated with the houses that it rules in the natal chart as well. So, if Saturn rules the 5th house in a given chart we might expect the topic of children to become prominent during the Saturn return. 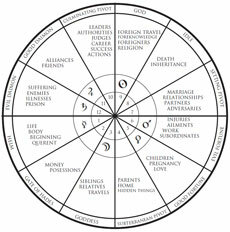 If Saturn rules the 2nd house we would expect the topic of finances to become prominent. Please refer to the table provided earlier in the article for a list of some main significations of the houses. What you may have noticed at this point is that during the Saturn return there can be as many as three houses being activated. There is the house that Saturn is in natally, and then there are the two houses that Saturn rules. 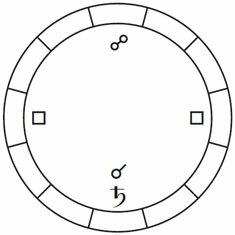 Now, in some charts there will be some overlap so that there are only two houses being activated, for example when Saturn is in one of the signs that it rules. 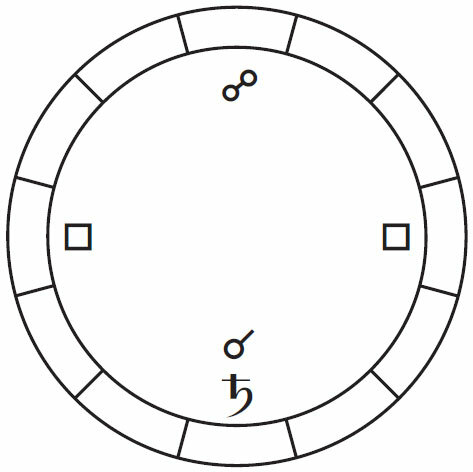 Either way, though, there will be two to three houses activated in a chart during the course of the Saturn return. To a certain extent this explains why the Saturn return is often experienced as a particularly crucial time or period of culmination in several different areas of a person’s life. The final tip for interpreting the Saturn return is to pay attention to aspects that Saturn makes to other planets in the natal chart, as these configurations will become activated during the Saturn return, and they can help to characterize how it will be experienced. In particular you should focus on the hard aspects that Saturn makes to other planets in the natal chart, as these will be the most important configurations during the Saturn return. By a “hard aspect” I mean the conjunction, square or opposition. Whatever configurations Saturn makes to other planets in the natal chart, especially hard aspects, those configurations will be activated during the course of the Saturn return. The hard aspects are generally agreed to be the most potent types of configurations between planets, for better or worse. When planets are configured to Saturn by a hard aspect in your natal chart they are saying something, and they are saying it very strongly. What exactly they are saying depends on the nature of the planets aspecting Saturn. Now, to a certain extent any configuration between Saturn and another planet will be somewhat difficult, but there are some types of configurations that will be easier than others. So, for example, if Saturn is in the same sign as Jupiter in the natal chart then the Saturn return will often be experienced as more positive than if Saturn is opposed by Mars in the natal chart. In both cases it is simply the natal configuration that Saturn makes to other planets in the chart which is being activated, although in some instances this is experienced as more positive, while in others it is more challenging. 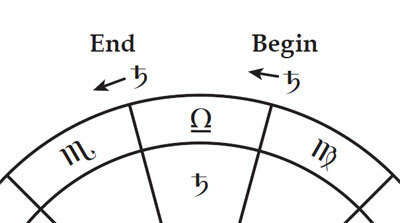 For the purpose of studying the Saturn return I would recommend using sign-based aspects, so that, for example, any planet in Leo is square to any planet in Scorpio. Similarly, if two planets are in the same sign they are considered to be in conjunction, regardless of how far apart they might be in terms of degrees. Part of the purpose of primarily focusing on the hard aspects to Saturn is that the planets in these signs are also located at the crucial turning points in the broader Saturn cycle. What I mean by that is this: Saturn takes almost 30 years to make one complete revolution around the zodiac. This cycle can be divided into four major phases, which have as their focal points 1) the waxing square, 2) the opposition, 3) the waning square, and then finally 4) the Saturn return itself. The waxing square is a quarter of the way through the cycle, the opposition is halfway through, the waning square is three quarters of the way through the cycle, and the return itself represents the completion of the cycle. Oftentimes themes that begin to develop at the very beginning of the cycle will reach critical turning points as Saturn makes its way through each of these phases. This is part of the reason why it is particularly important to pay attention to planets that are configured to Saturn by hard aspect natally, since they will be in the signs that are aligned with these pivotal turning points. By identifying the aspects involved you can determine not just what themes will be present during the Saturn return itself, but also what themes will play out over the course of the next 30 years, as Saturn makes its way through its cycle. 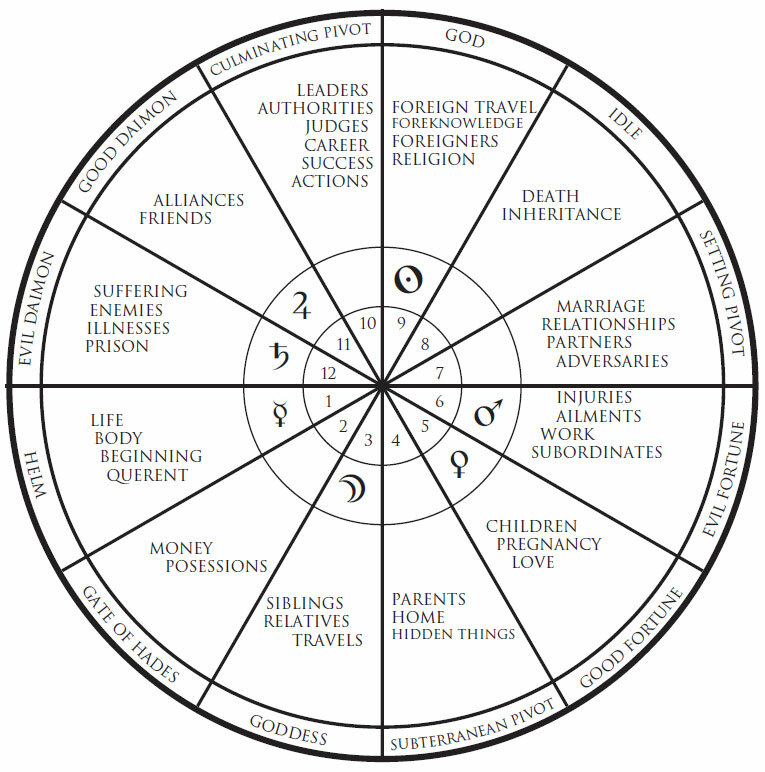 Each person’s natal chart is unique. Although we all have our Saturn returns sometime around the ages of 27-30, it is the unique position that Saturn holds in our birth charts that allows for the variety of experiences that each of us encounters during this time in our lives. By applying the tips in this article you should begin to recognize the distinctive qualities of Saturn’s placement in your own chart, and in doing so you will start to understand what to expect when it becomes awakened during your Saturn return. For those of you who would like some help calculating your Saturn return and interpreting what it means, we are now offering 75 minute Saturn return astrology consultations over the phone. Very useful information. Clear and easy to follow. It’s a great idea to explain a principle and illustrate it with case examples. I really enjoyed it. Really nice article, Chris. Lays out some basics beautifully. Although I am wincing as I ponder my Saturn in Cap ruling my 12th and 1st. 🙂 The first Saturn return wasn’t much fun; I don’t expect the 2nd to be all that much brighter, frankly. Age, health problems, and family issues are front & center. Gotta question for you. Saturn in my chart is in the first degree of the Scorpion, retrograde, in the good spirit. 9 days after birth, Saturn was to be found in the Justice. this is rather significant, because Saturn is the domicile master of the ascendant. In regards to the changing of signs, would you consider the Saturn return to take place in Scorpio or Libra ? Thank you for your time. What are you referring to as Justice? The 10th place? I think that the return would still primarily be focused on the entirety of the Scorpio transit. However, when transiting Saturn got to the end of Libra it would have already come within the 3 degree range for adherence, and thus the events leading to the full onset of the return probably would have started much earlier. Saturn made it to 28/29 Libra recently before stationing retrograde, and within that range the adherence would have been in effect. Yes, thank you Chris. I believe you are right. By Justice I was referring to Libra, the 10th. Your stated fifth principle was particularly wise and particularly delightful to read. Very helpful, concise, and clear information! Thanks Chris. This should keep me busy for a while! As to whole houses, mine are intercepted. How do I convert them to whole? I have Sag rising, but Cap starts in 1st. Aquarius intercepted in 2nd, Gemini on 6th & 7th so Cancer on 7th. Saturn in Scorpio in tenth ruled by Libra. Do I move Scorpio cusp to 12th or leave on 11th? There are no interceptions with whole sign houses, so if your ascendant is in Sagittarius, then Sag is your 1st house, Capricorn is your 2nd house, Aquarius is your 3rd house, and so on. If your Saturn is in Scorpio then it would be in your 12th house, and it would be the ruler of your 2nd and 3rd. Thanks for the reply! Wow Chris. Why do you recommend whole houses? This completely changes my entire chart. With Koch or Placidus Saturn is in the 10th and I have stellium in 7th and Pluto/moon in 8th, etc. With Porphry I believe Saturn is in 11th. I am a little shook up to see Saturn in the 12th with whole houses. How do I interpret all this? It’s very very different with Saturn in 12, Stellium in 8th, etc. Chris, Thank you for this artical very enlightening,but I am somewhat concerned cause I am a Libra and since 2009 my life has been a constant series of loses and diplacements.I had a nice life for years living in,Los Angeles,and here comes Saturn! I got sick so sick that I lost my job, I went through all of my savings trying to keep up with my bills, by the time my health improved,I found my self with no health insurance, and over $50,ooo.oo in debt.Last year I gave away and sold everything I had,left L.A.,and moved in with my aging parents,(and trust me I am very grateful for them).I was born in the evening so you’re absolutely right concerning the tone of Saturn on my sign.The most recent occurance was the friendship divorce of two childhood best friends two months ago,that one was real tough.I’m glad I’ll soon be rid of it come October,but honestly, I went into panic mode when I saw that I have Saturn in Scorpio in my 6th house.I also have an Aquarius moon and Chrion in the 9th house,and Aquarius on my MC.So after Oct. will I be “out of the woods” or should I pull the trigger now? What is your birth data Mitzi? There isn’t much that I can say without looking at the chart in its entirety. Is it possible to not have Saturn in any houses or any hard aspects with other planets in one’s birth chart? I have Saturn in Scorpio (another 1984 baby :), but not in any houses. (I do have Jupiter in Capricorn in houses 8 and 9 and Aquarius in House 10 if that matters). Thank you and EXCELLENT work! Saturn definitely has to be in one of the houses, but it is possible for it not to be in a hard aspect with any other planets in the chart. I have 4 planets in Libra [Sun, Moon, merc. Neptune in 9th H] and just experienced the Saturn in Libra transit in a big way; my second return will occur in October in Scorpio-10th H-is it possible that the grief from the recent transit will “pay off” with my second return? I have been doing my homework. Yes, it is possible, especially since you have a day chart, which tends to make Saturn transits more constructive. It will affect a different area of your life than the Libra transit, of course, but since it was the sign right before your return and it also hit so many planets already, there may very well be some continuity between decisions and events of the Libra transit and your actual Saturn return. I did my chart and I would like to know if you can help me understand it more and maybe answer this question for me, I see that I have Scorpios in other houses, since Saturn is going to Scorpio in Oct 12′ does that means that I am going to be experiencing more changes in my life? btw. thank you for a great article, after reading it helped me realized I’m pretty normal and that my life just need some real tough love! Based on the chart information you sent me, it looks like you have a night chart with a stellium in Libra, so I can imagine that the Saturn return would have been kind of tough. It looks like you have two or three planets in Scorpio as well, so there are still some important events coming up when Saturn moves into that sign, although I wouldn’t expect it to be as major as what happened over the past few years during your Saturn return. That is just based on a quick glance at your chart though. Thanks for the article, it’s really helpful. My Saturn is in Scorpio so I’m just starting my return. I have to ask about the house system – do you have to use whole? I never use it and find placidus to be most accurate for me. If I use whole, all of my signs move to the next house, so in stead of my saturn being in the first, with the whole house system it would be in the second. I don’t think that would be accurate for me when describing my personality so I don’t know if it would be accurate for interpreting my return… just wondering what you think. I used Placidus for several years, but at this point I find whole sign houses to be much more accurate. Sometimes it is important to make sure that there aren’t other placements in the chart which are causing some of the traits that you are associating with a certain house placements. How to read hard aspects? For example I have natal hard aspects from Saturn to moon and Pluto. In this, my second return, I assume they are triggered by transit Saturn squaring Pluto/Moon. In whole signs Saturn scorpio is in 12th and Pluto/Moon leo in 9th. With Placidus Saturn in (tailend)10th squares Pluto/Moon in 8th. In my first return 1983 Saturn transit was also conjunct Pluto so I have an amazing survival story. How to understand this return? I’m pretty new to this, but I just did my chart online, and I have what appears to be 8 squares in my natal chart, one of which is Saturn to the Sun, and Saturn conjunct Jupiter! Just to give you a quick rundown, Saturn was in 9 degrees of Libra on my birthdate (Jan. 6, 1981 at 8:11PM in Massachusetts). So my Sun, Moon, and Mercury are in Capricorn, and my Mars in Aquarius. Am I completely screwed? Maybe I don’t have the worst chart ever in history, but it seems like I’m pretty damn close. Am I doomed to continually “learn the hard way” throughout life? Thank you btw, you made this complicated stuff very easy to understand! It’s so clearly written! I got a question though. 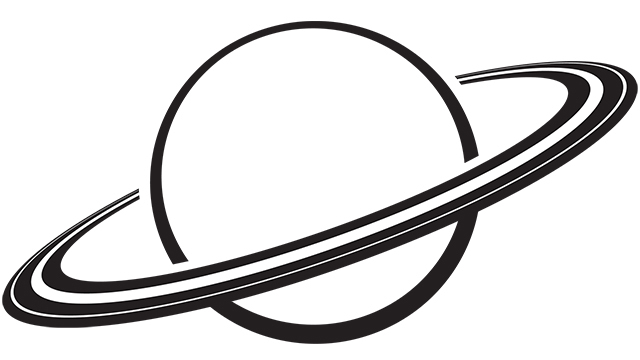 Does the sign of Saturn matter when it comes to Saturn return? If Saturn is in Capricorn, ruled by Saturn, does it get a bit more constructive given I was born in the night? Yeah, definitely. If Saturn is in one of its own signs or in the sign of its exaltation it can make things work out a lot more smoothly, even if it is contrary to the sect. There will still be problems, but it can definitely help to take some of the edge off. I had a terrible Saturn Return. I was born on 6 January 1982. I did not know of Saturn Returns during that time. I went through high anxiety during this whole period and when it ended in Oct 2012, I felt this peace and stability that had always been there in my life until before the SR. It was a horrible period in my life. Regarding #4, I’d make four Houses for those in day sect. Libra is the exaltation and triplicity Sign of Saturn, which practically makes him a ruler of that Sign in diurnal charts. Should we look at the 7 year cycles of saturn(squares and oppositions to natal position) in the same fashion? (positive effect if Saturn is in sect)? Yes, definitely. Just in general, people with day charts tend to respond much more positively to Saturn transits, whereas people with night charts tend to have more difficulties, other factors aside. There are mitigating factors that have to be taken into account when you are doing a full chart analysis, since those can offset things for better or worse, but generally the rule holds true. You wrote in this article that “Saturn return began around October 29, 2009, when Saturn made its first ingress back into Libra since the early 1980s”, but checking the charts you provide, it indicates that Saturn moves from Virgo to Libra on July 22, 2010, wich is correct? Thank you for your atention and congratulations on the great website! October 29, 2009 was the first time that Saturn moved from Virgo into Libra. Later Saturn went retrograde, and then moved back into Virgo. Eventually it stationed direct and then started moving forward again, and then on July 22, 2010 it moved from Virgo to Libra again for the final time. So, yes, technically Saturn made two ingresses into Libra, and it was only after the second one that it actually stayed there for a couple of years. However, most people start to feel the Saturn return around the time that Saturn makes its very first ingress into the natal sign, even if it retrogrades back out again temporarily. So I recommend conceptualizing the Saturn return as if it begins as soon as the first sign ingress takes place, and then ending once Saturn leaves the natal sign for the final time. Let me know if that makes sense. i think the saturn effect dpends also on whether it is going obscure beneath the horizon,house 1 through 3 arent usually good,after the IC cross it begins to bring some benefit or ascension. Saturn is at 8 degree conjunct mars in sagittarius in 7th house if using Placidus house system and 8th house if using Whole sign, Saturn is the ruler of 9th house (capricorn) and 10th house (aquarius) in my natal chart. My plan for the up coming period, including my saturn return (starting in Jan 2015 as saturn moves to saggittarius) will be paying off debt and migrating, settling and having a job abroad (my moon is in 9th house). Wow, I am willing and look forward to exhausting myself to work and accomplish those goals, I’m just afraid that I couldn’t obtain the visa to migrate. Will Saturn return give opportunities for the plans relating to the house ruled by Saturn to be materialised? Is Saturn return similar to Saturn transit squaring sun? I have been facing so many obstacles, blockages and delays sine saturn transit squared my sun, jupiter, venus and mercury stellium in Aquarius, hopefully the theme of Saturn return will be challenging but not that much restricting. I am like “Sag” above, except that Saturn is in my 12th house conjunct sun. Will be experiencing my second return this fall. During the first, there were relationship break-ups, moving (isolation? ), extreme depression, jealousy (in Scorpio), confrontations from old boyfriends (square Pluto in Leo)and basically a need to make a whole new beginning (sextile MC/trine IC). So, now I am going through the same thing again!!! My question is: What was I supposed to have learned? There are children issues as well (there were then too); this time grands (9th house square to 12th?). Thankfully no illness, but definitely concern about my health. But another break-up. Now aware that I can only function in a really mature relationship, which I never really had. Honestly “Sag” I am grateful for some of that Saturn energy on my Sun because there is so much fire in my chart with Sag rising and such emphasis on the fire houses (1st and 9th) that I’m grateful to have Saturn keep me in check. It also rules my second house and money has been an issue in my life. Never had much, but had sense enough to at least try to hold on to some. Also think it’s about time that I pay more attention to myself. Have always been so concerned with helping and taking care of everyone else. It might be time to finally put myself first (at least occasionally – smile). Hi Chris… I am currently in my second Saturn return .. my rising sign is Aquarius Using whole house method would suggest I look to the 10th house as well as where Capricorn and Aquarius lie… These are in my 12th and 1st houses My Mars also falls in Aquarius… would this also be impacted please? I was born June 1 1956 at 12:45 a.m in Vancouver BC in case you have a moment to review… Thank you so much. I understand the 2nd and 3rd returns are supposed to be easier than the first. Also, if you were born with the planet retrograde, does that have an effect on things? Thanks so much for such a great article !